I don't think I can play any other way but all out. I enjoy the game so much because I'm putting so much into it. If I stay healthy, I have a chance to collect 3000 hits and 1000 errors. If a tie is like kissing your sister, losing is like kissing your grandmother with her teeth out! 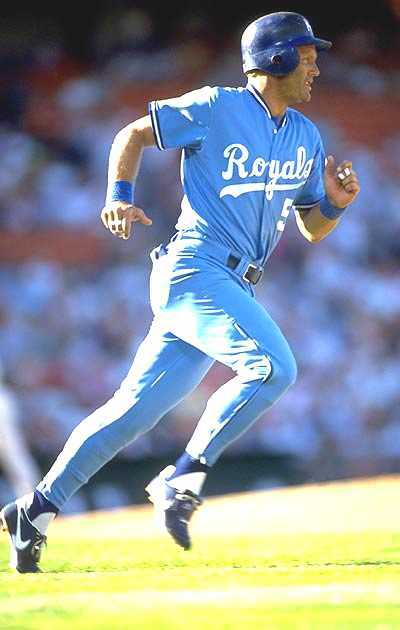 George Brett could roll out of bed on Christmas morning and hit a line drive. I think when George goes to heaven, there will be the Babe and Gehrig and a few of the really, really great ones all hanging around together, and one of 'em will say: 'Hey, that's George Brett. 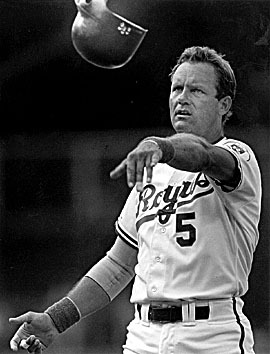 George Brett could get good wood on an aspirin. With most great players on other teams, you notice how great they are. But when they become teammates and you see them everyday, you notice the flaws. It is exactly the opposite with George Brett. This tells us all and makes it very clear how lucky we were. Whether a teammate or a fan, we either got to play with or watch the best player of our time. From the day he graduated from high school and went through the minor leagues, he developed as a person and a player within the organization. He wore one uniform, one number and finished here. This is the culmination of a great career and whether you’re a fan or teammate, you were privileged to have such a player playing in the city. To the organization, he is the first to get some place (Hall of Fame) that no one has been before and that makes this brighter. That’s taking the crown jewel and putting it in a great big jewelry box. 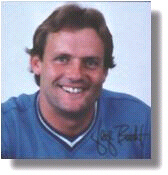 When it came to national exposure, George Brett is synonymous with Kansas City than any other player. He was always the guy - he was the clutch guy. Not only with the manager, coaches and his teammates, but the fans knew more often than not in a clutch situation he’d come through because he was so mentally tough and he accepted being that guy. His success in the playoffs and World Series in clutch situations really elevated him from the local to national scene. He had that national spotlight and stage to perform on. It’s one thing to be in the Post Season and on stage, but it’s another to come through. A lot of guys have been on that stage, but few have produced as he did. 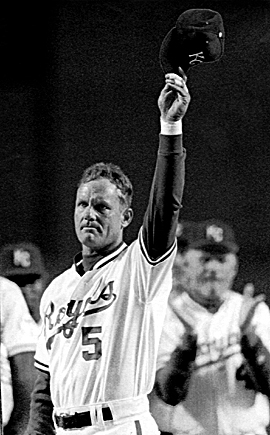 George Brett has always been a Hall of Famer, both as a player and a person. From the day he started his career at Billings (Montana) through his last game, George’s work ethic and determination was second to none. His hard-nosed style, charisma and ability to deliver in clutch moments made him the first superstar in Kansas City. George’s accomplishments and contributions during the last 28 years remain everlasting throughout the organization and our community. The Royals organization is proud of the fact that George has been associated with the Royals since the onset of his professional career. If you’ve ever played golf with him, you’d know he’s so competitive that he can’t stand to lose. He can’t sit down and play a card game that he doesn’t want to beat you. That’s the way he played baseball. If he had to, he’d take it in his own hands and win the ballgame. He was clearly one of the best players of his generation, but he had a style that spanned the generations. He looked and carried himself like a baseball player and could have been at home in any era. He was the kind of guy who conveyed something to fans that’s very important, which was that he thought of himself first and foremost as a baseball player. There was nothing in the world that he would rather be doing than playing baseball every day when he was on the field. 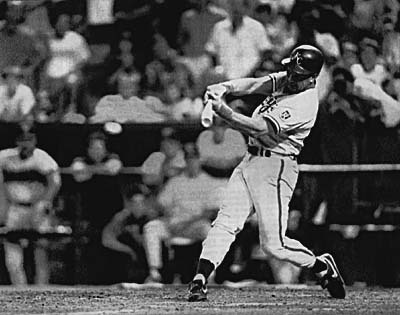 One of the most memorable things about George was the batting title in 1990. We were putting the pencil to the numbers to figure when was best to play George and sure enough, we were able to get it done. He was not only a friend, but he was one of the best players in the game. With the three batting titles, the championships and post-season play - whenever you needed anything done, everyone had confidence that he’d get it done. In fact, the first game I was managing, he hit a homer in the bottom of the 10th to win it. Trying to replace who may be the best third baseman to play the game wasn’t an easy task. It was the biggest challenge of my career to replace George whenever he was unable to play. But one of the biggest thrills in my career was being able to say that I played when he couldn’t play. It’s just a memory that I’ll keep the rest of my life - to play the same position at the same time on a team with a Hall of Famer. Any time you can play with a Hall of Famer, then it is something special to remember. I’ve seen great players make great plays many times. But he was the greatest clutch hitter I’ve played with or against. He was an excellent hitter through hard work and played at the right time against great teams like the Yankees. 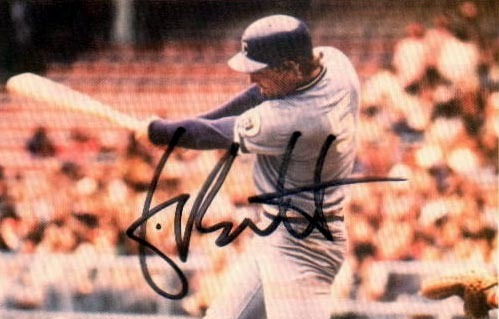 He hit .390, won three batting titles and always seemed to be there at the right time with clutch hitting." The greatest thing he taught me was on my first day in the big leagues -it was the hustle. He hit two one- hoppers to the pitcher and ran as hard as he could to first base. He set a great example for me to model my career. His hustle and desire - those were the little things that stood out for me. Plus he’s one of the greatest hitters I’ve ever played with. 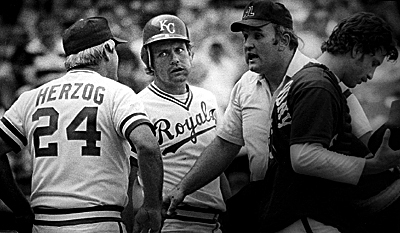 One of the things that's helped George Brett become such a great player is that he never worried about politics and all that stuff that goes on around a team. George was always more interested in looking for a pitch to hit hard than playing politics or talking about management. 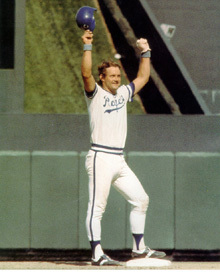 I love George Brett, George is everything that's right about baseball, and not just because he's a good hitter. 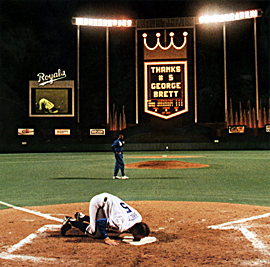 I want you to know that George Brett will never be a selfish player. My only worry about him is that he plays without fear, and that he might hurt himself - end his career. He doesn't fear the baseball, which frightens you. An injury could cost him. How much? You'll laugh, but if George doesn't hurt himself seriously, someday you'll see him in the Hall of Fame. 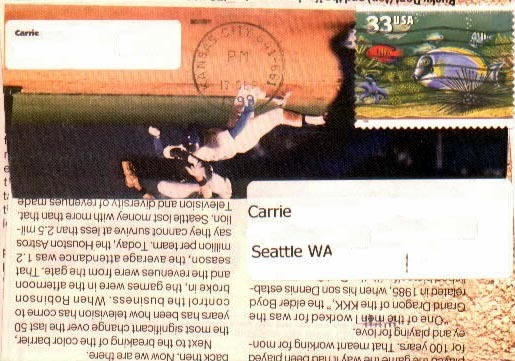 I played with Hank Aaron and Eddie Mathews and some other great players. George will be in that class. 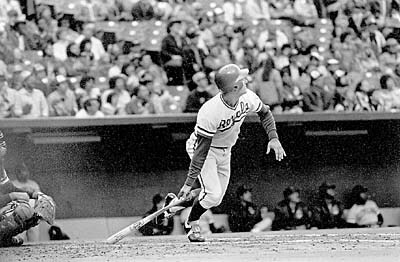 I've always loved the way he played the game of baseball, and I also thought he was the most dangerous hitter I ever faced - certainly in the American League. Back with Cincinnati, I used to walk the Giants' Willie McCovey all the time because he could just kill you. I thought I'd never treat another hitter that way, but I wound up doing it with George.